AKA Leave the Computers to the Makers and Shut Up About "The Future"
“PC” in this article refers to all personal computers: Mac, Windows, Linux, etc. One of Wall Street Journal’s tech columnists just wrote an article titled Why Apple Should Kill Off the Mac where he states his belief that Apple’s Mac line (their computer/PC product line) is unnecessary and acts as a distraction to Apple’s business and innovation. Yes, this is another article that brings up the decline of the PC industry and the prominence of mobile devices. However, this is also an article that talks specifically about Apple’s product line and speculates about its future as a tech company and I think the columnist has a dead wrong point of view about the role of Macs, and of PCs in general, in today’s world. Apple is well known for its innovative and sleek mobile products such as the iPhone, the new Watch, and the old iPods. With all the news around Apple’s mobile products, it’s easy for people to forget that Apple is an old company that was founded to build personal computers. While their first product was a simple kit computer, Apple’s has developed computers that have redefined affordability, user interaction, and design in both hardware and design. Today, Apple’s Mac products are highly competitive against the PC competition thanks to its unique industry defining features such as sleek aluminum bodies, fiercely useful touch-pads and peripherals, high quality screens, and amazing battery life in its laptops. These features continue to define Macs as PC game changers, but the core computing function of Macs are what make them irreplaceable in today’s digital world. Let’s sidestep for one minute and talk about the PC industry as a whole. It is true that PC sales are declining as more consumers are realizing they don’t necessarily need a full fledged PC just to browse websites and watch Netflix. However, if any such consumers were to call for the end of the PC industry they would receive a very hard slap across the face from me, followed by a serious lecture about how PCs are the mother of the mobile world they enjoy so much. My argument sums up to this: Computers can code, tablets and smartphones cannot. You cannot run web servers, code compilers, or supercomputers with smartphones. With the rise of smart devices such as smart TVs and Nest’s smart thermostat, it is necessary to remind the public that the software and/or firmware that runs these devices also need to be developed on a PC. Everything digital, from alarm clocks to automobiles, depends on software nowadays and computers are needed to develop all of that software. With my brief summary of the importance of the PC industry I am also implying that Macs, because they are also PCs, are important in continuing the development of today’s modern systems. But then what about Macs specifically, compared to Windows or Linux based PCs, justify their existence? 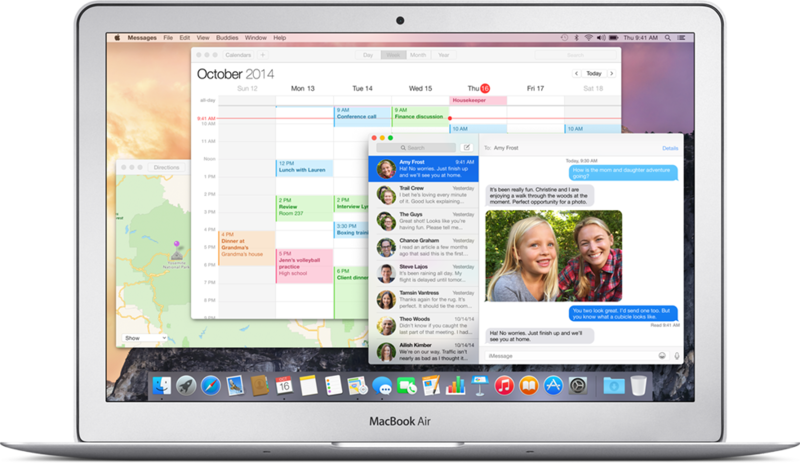 No, Macs are not holding back Apple. PCs may not be the most glamorous thing anymore, but Apple still defines the PC market and they need them to create the rest of their products. Personal computers are not “last-century technology”, typewriters are. Personal computers still provide the basis for mobile computing technology and their endless functionality make them a product capable of transcending multiple generations to come.